unlike them, she was real. Ms. Nancy Wake passed away on August 7th at the age 98, bringing an end to her incredible tale of heroism, moxie, and a zest for life. Her story, however, lives on. 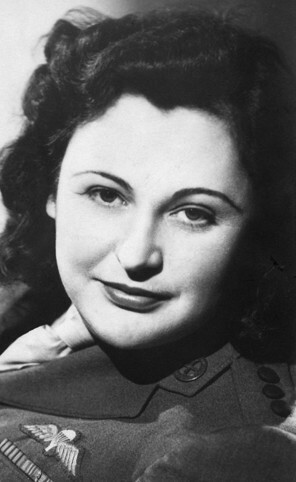 Born in New Zealand, Nancy Wake spent her formative years in Australia. She set off on her own at the age of 20, leaving her mother and siblings behind for an adventure that would span the globe. Soon after, Wake bluffed her way into an interview with a Hearst newspaper executive. Knowing he was an enthusiast of all things Egyptian, she claimed she was fluent in the language and passed off hieroglyphic-like gibberish as genuine in order to secure a job as a journalist. Wake traveled Europe as a reporter ending up in France, though not before she saw Jews beaten in the streets by Nazis in 1930s Vienna. She swore then that she would do everything she could to take down the extremists if the opportunity ever arose. The opportunity presented itself after Wake married French socialite Henri Fiocca. She used her position in France's high-society as cover to shepherd resistance fighters to safety following the German invasion. Wake claimed that being a woman offered more options to finagle her way out of tight situations. She left the country for England when her existence was discovered by the Nazis. Fiocca stayed behind to take care of family matters before joining her. He was murdered when he refused to tell the enemies her location. Wake was dubbed the "white mouse" by the Nazis because of her ability to elude the traps set for her. During Wake's time in the UK, she was trained as a Special Operations Executive. 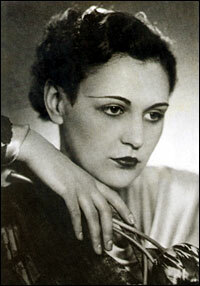 She used her training to work as an intelligence operative with the French Resistance. She was no longer a care-free globe trotting girl; she had become a savvy spy, using those same cunning skills she employed to obtain a job as a reporter to protect people across the world. The spy was awarded numerous medals of honor by France, England, the United States and Australia. She used the sale of those medals to fund her retirement. In her last few years, she lived in a retirement community in England, spending most of her time with a gin and tonic in hand at the first bar she actually enjoyed when the War ended. Nancy Wake died not just a heroine because of all the lives she saved but because of the trails she blazed for women all across the globe. Read more about Ms. Wake on the Washington Post and New York Times.